Love - it can be a blessing or it can be your downfall. You think you have the most beautiful relationship; you take pride in it when you talk about your “soul mate” to your friends; you let it become your reason to get up each morning and your every thought. The story of Samson is one of lessons about love and lust. From his mistakes we can learn a lot about love and lust. Samson was a special man from his birth. His mother, having not been able to have children was visited by an angel in Judges 13 that told her that she would have a child, and that she should “drink no wine or similar drink, nor eat anything unclean, for the child shall be a Nazirite to God from the womb to the day of his death.” Before his birth, God had decided to set Samson apart for a special purpose. · Drink wine, grape juice, vinegar, eat raisins or fresh grapes, or anything coming from the grape vine. · Never cut his hair. · Never go near a dead body, including that of his family. And if anyone died suddenly while with him, he had a specific offering to give, and would cut his hair as a sacrifice before going back under the vow. · Never go near or have unclean food. Leviticus 11 outlines what was considered unclean and specifically states that “whatever goes on all fours” was considered unclean. The vow was usually taken voluntarily, and for a set time, but Samson was ordained to be a Nazirite by God. Because of that God gave him special favor, in that he made him extremely strong. The book of Judges repeatedly tells us that the Spirit of the Lord was active with Samson, meaning God was with him. But Samson was just a man. And as a man, he had weaknesses, and most of them dealt with women. Samson acted somewhat like a spoiled child when it came to women. His first encounter with women is told in Judges 14:2 he says “I have seen a woman in Timnah of the daughters of the Philistines; now therefore, get her for me as a wife.” Doesn’t that sound like a spoiled child? A saw it. I want it. Go get it for me NOW! Samson’s desire for this woman was out of lust – not love. He did not know this woman – he had only seen her. Any time you let lust be your driver, you’ve put recklessness at the wheel. But lust took over and Samson would have it no other way! He started down to Timnah and came to the vineyards, a place where temptation was all around him for he was not to have anything that came from a grape vine. But God had actually led him there as Judges 14:4 says “He was seeking an occasion to move against the Philistines. For at that time the Philistines had dominion over Israel.” God always gives us a way to escape temptations, as he did Samson at the vineyard. As he neared the vineyard, a lion came against him. Samson, acting with the strength God had given him, tore the lion apart with his bare hands and left it’s carcass to rot. He then enters Timnah to visit the lady he desired, and we’re told that “she pleased him.” I think we can figure out what that means. Later he brings his father to Timnah, which may have been for a wedding. When he returned to the place where he’d killed the lion, he found bees had been inside the carcass, and there was honey in it. Samson scooped the honey from the carcass and ate it. But he didn’t tell anyone, not even his own parents. He even brought the dripping honey comb to his parents to eat. The reason he didn’t tell anyone was that he had just broken the Nazirite vow. The lion was unclean, and he had gone near it and eaten from it. But rather than giving the sacrifice that was required, he turned his sin into a riddle. At the wedding party, Samson tells them his riddle saying “Out of the eater came something to eat, and out of the strong came something sweet.” He then vows that whoever can solve the riddle he would give 30 changes of clothing and 30 linen garments. Did Samson have the clothing to give? No. He wasn’t acting like a man being led by God – he was acting out of his flesh. God was not pleased. With God, sin is never folly. He allowed the Philistines to come against his wife and threaten her that she should find the answer to his riddle or they would burn down her father’s house. His wife then acts out of the insecurity that comes from knowing you’re involved in a lustful relationship not build on love. She says to Samson, “You only hate me! You do not love me! You have posed a riddle to the sons of my people, but you have not explained it to me.” Had their relationship been built on love, she would have known he loved her. And if their relationship would have been built on true love, there would have been no secrets between them. But she knew she wasn’t loved. She cried for seven days. After the seven days Samson couldn’t stand it anymore. No one wants to live with a crying woman! His lustful desires were not going to be filled while she cried. So Samson told her the riddle, and in turn, she told those that threatened her. This put Samson in a predicament. Having told these men that if they solved the riddle he would give them thirty linen garments and thirty changes of clothes, which he did not have, he now had to pay up! Samson, being blessed by the Spirit of God, went to the town of Askhelon and killed thirty men, and took their clothing. Now in killing them and taking their clothes it only stands to reason that he must have come in contact with the dead. For a second time, he has betrayed the Nazirite vow. Samson has now broken his Nazirite vow twice, and murdered thirty men. He is a broken man in a broken relationship. He goes back to his father’s house alone, and his wife is given to the very man that was his best man. Samson lived James 1:15, which says "Then, when desire (lust) has conceived, it gives birth to sin; and sin, when it is full-grown, brings forth death." 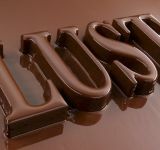 Lust is not for the Christian to deal with. This is why we should not go seeking a mate. We will always find one that we desire, but not always find the one that God would give us. The one God gives us will lead us closer to Him. God has planned for us a future that is full of blessings. But if you short-cut God’s plan by taking the lead, then you can expect heartache. You’re just not as good a match maker as almighty God. If you want a mate, pray for one – don’t go picking one out on your own. Don’t become so desperate for love that you forget the one that provides unconditional love. That desire to be loved, lust, leads to brokenness and sin, neither of which is in God’s plan for His children.